My sister brought her grand daughters over for the weekend and both of them practically lived in the pool the entire time. 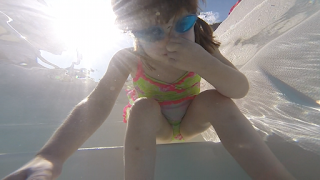 A big step for many children is holding their breath and going underwater. It's funny how both Taylor and Rianne had to dry their faces off each time. 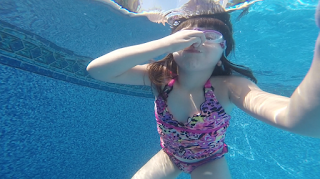 This is the first time I've used the GoPro in the waterproof case so I was a little nervous too.